If you have a VMware certification or are planning on gaining one, listen up. You don’t have long to take advantage of VMware’s 25% off exam discount. Plus, remind yourself about the VMware recertification policy, implemented March, 2014. Why did VMware change their policy? Q. When did the policy go into effect? 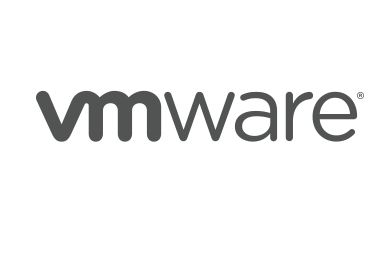 A. VMware change their stance on recertification on March, 2014. Q. Why is VMware doing this, what are the benefits? Q. How long do I have to recertify? A. If you gained your VCP level certification (VCP-DCV, VCP-Cloud, VCP-Desktop) before March 10, 2013, you must be recertified by March 10, 2015. Plus, any VCP2, VCP3, VCP4 or VCP5 certifications can be recertified between 10 March, 2013, and 10 March, 2015, by simply taking a current VCP or VCAP exam. Be aware, however, that you must stil meet all current requirements for the VCAP exam. Q. I earned my VCP level certification after March 10, 2014, how long do I have to recertify? A. If you earned your VCP level certification after March 10,2014, you have two years to recertify. Q. What happens if I don’t recertify? A. If you fail to recertify within the allowed timeframe, your certification will be revoked. You will no longer be entitled to use the VMware logo or represent yourself as VMware certified. In addition, your certification will no longer be shown as valid on your MyLearn account. Any employer that contacts VMware to validate your certification will be informed that it is no longer valid. Plus, you will not be able to access the VCP portal if your certification is revoked. Q. 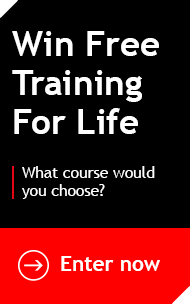 Is there a grace period after my certification is revoked, or do I need to start over? A. VMware do not provide a grace period after your certification is revoked. You will have to meet all prerequisites for the specific certification and pass the exams to regain certified status. Q. Will VMware contact me when my certification is about to expire? A. Yes, you will receive an email notice at the email address associated with your MyLearn account. Q. Is there a course requirement to recertify? A. No. You’ll be able to recertify without a course requirement anytime within your 2-year recertification period. Q. Is the recertification exam any different to the normal exam? A. No, the exam you take will be identical to the typical VMware exam. Q. Will the recertification exam cost me the same? A. Yes, it will. However, VMware are currently running a 25% off any VCP exam when you test before January 1, 2015. And if you don’t pass, you can re-use your voucher continually until the January 1, 2015, cut-off point. Q. I have multiple VCP certifications. How will I know when to recertify? A. The most recent date will be used to determine your recertification deadline. E.g. If you earned your VCP5-DCV on January 4th, 2012, and VCP5-DT on February 11th, 2014, then your recertification deadline will be based on the VCP5-DT date. In this case, your recertification deadline would be February 10th, 2016. Q. My VCP level certification is over two years old, but I just received a VCA. Do I still need to recertify? A. The only way to recertify your VCP is to pass a higher version of the exam or pass an exam of another track (Excluding VCA). Q. What if my VCP is already 2 years old? A. If you hold any VCP certification (VCP-DCV, VCP-Cloud, VCP-Desktop) that was earned on or before March 10, 2013 you must recertify by March 10,2015. And if your certification was earned after March 10, 2013, you must recertify within two years of that date. We hope that answered any tricky questions; please post in the comments if there’s anything we missed. Firebrand run an official VMware vSphere 5.5 Fast Track course – if you want to get your recertification out of the way, or want to achieve this qualification – you could get it in only 5 days.